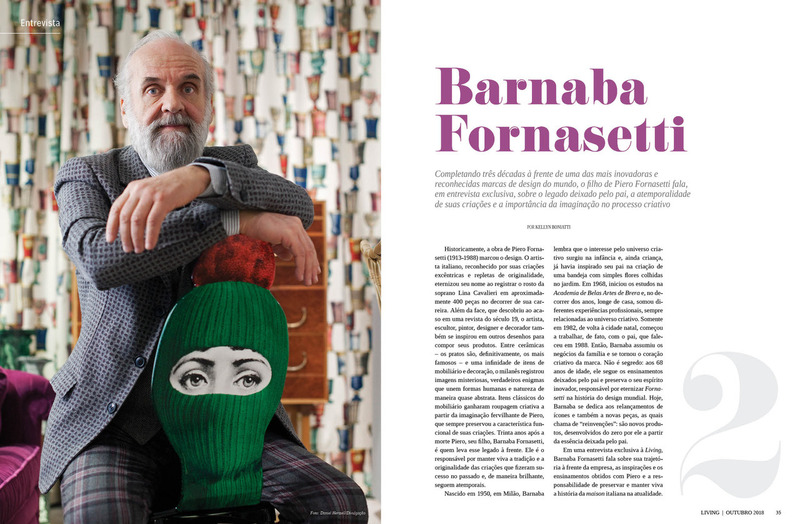 Barnaba Fornasetti opened the doors to his world in an exclusive interview with Polpettas On Paper, a magazine co-created by Italy and Spain and dedicated exclusively to interviews with key figures from the art world. 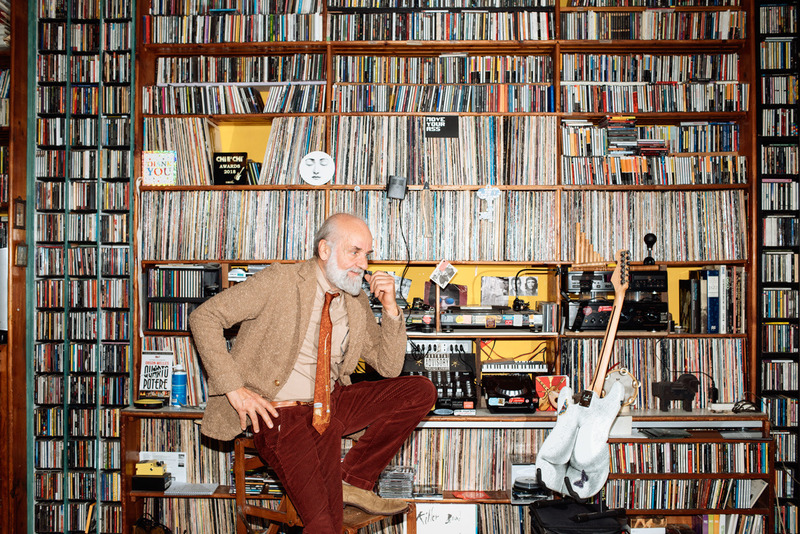 A casual conversation about music, past and future projects, design and everyday anecdotes, in which Barnaba Fornasetti explains his vision and lifestyle. 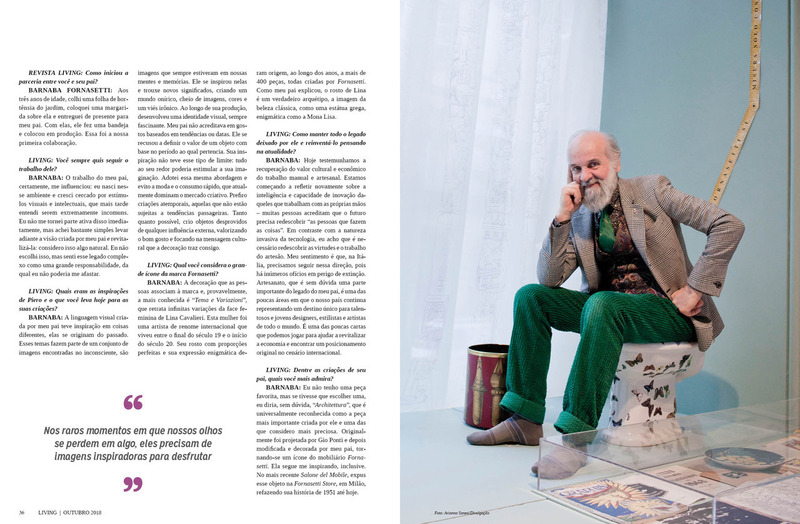 The complete interview is available in the fourth issue of Polpettas On Paper. 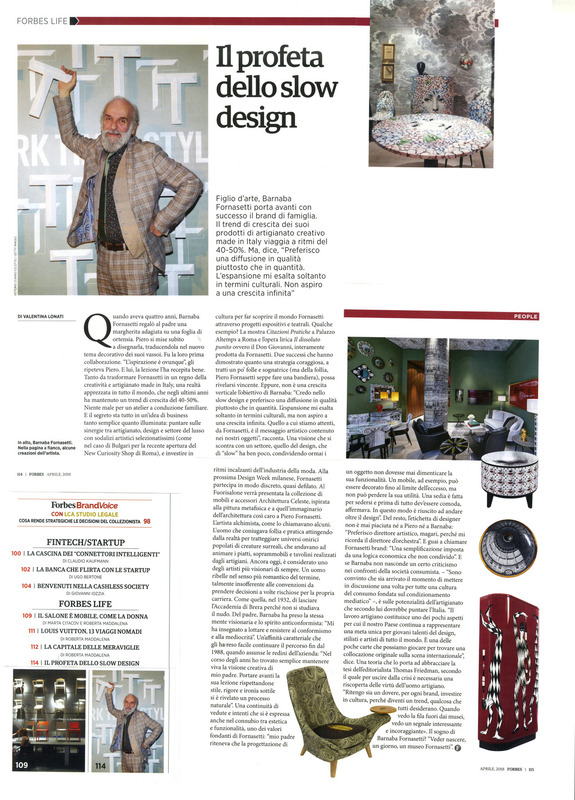 Kellyn Boniatti, Barnaba Fornasetti, “Casa Living”, October 2018. Stefano Salis, La crescita? 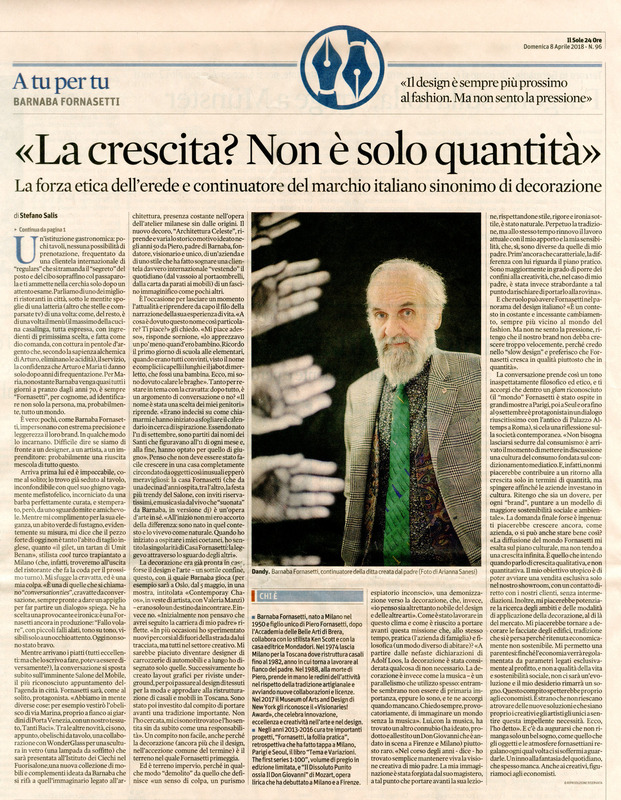 Non è solo quantità, “Il Sole 24 Ore”, April 8th 2018. Valentina Lonati, Il profeta dello slow design, Forbes, April 2018. 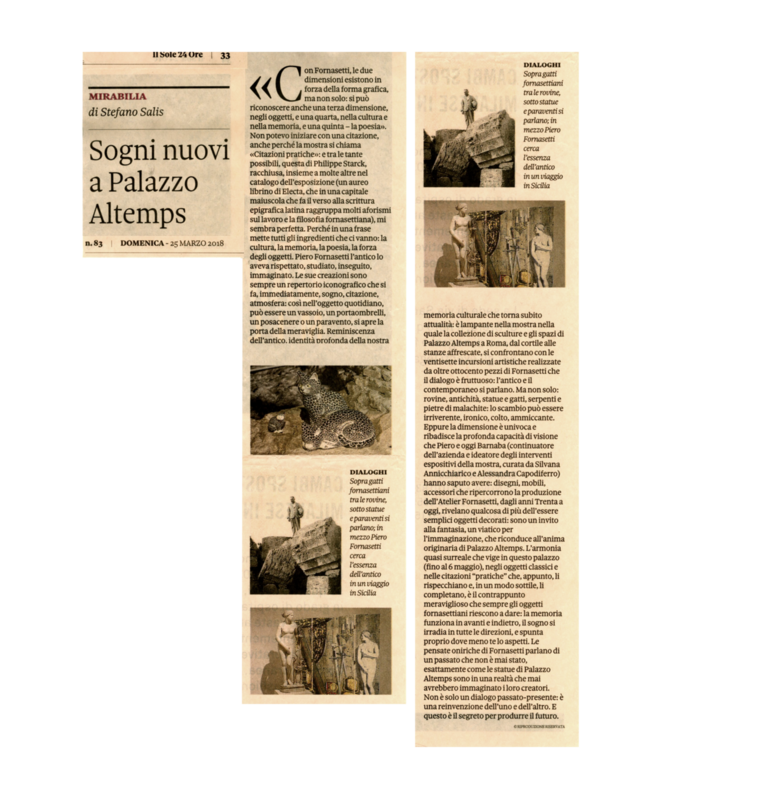 Stefano Salis, Sogni nuovi a Palazzo Altemps, ‘Il Sole 24 Ore’, 25th March 2018.